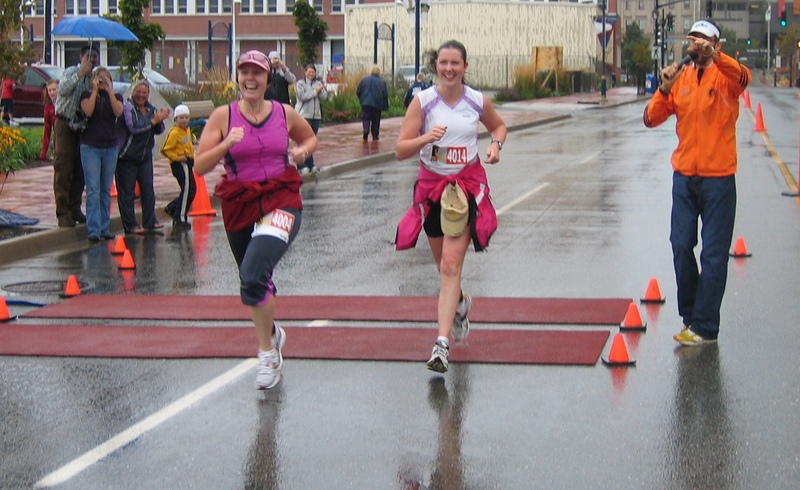 Carolyn Campbell, left, races the final stages of the 2008 Marathon By the Sea with her good friend Heather Davis. 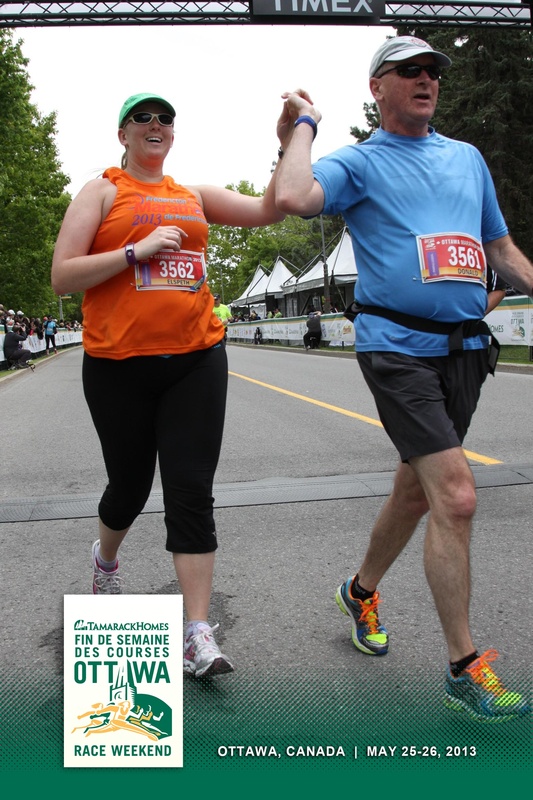 Editor’s note: Nearly six years after crossing the finish line at Marathon By The Sea in her first marathon, Carolyn Campbell still gets emotional when she thinks about how she got there. For some people, running represents many different things. For her, it provided an outlet to set goals, deal with the curve balls life throws at us and learn more about her inner strength. What follows is a poignant account of her experiences with Marathon By the Sea. Her journey from non-runner to marathoner is another of the inspirational tales Marathon By the Sea has experienced in its celebrated 20 year history.